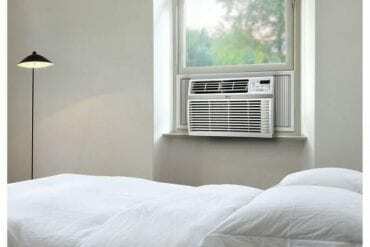 With experts emphasizing the importance of protecting the environment, Manufacturers have started developing energy-efficient products with the aim of saving natural resources. One of the recent innovations that play a major role in conserving the environment is the dual flush toilets. These toilets help save up to 69 percent of water with some brands going beyond to offer the user with advanced features than their conventional counterparts. Besides saving the resources, these toilets also help in lowering water bills. Another great advantage that comes with these toilets is that they work diligently to reduce the environmental footprint without sacrificing the household convenience and hygiene. The heavy competition in the industry of bathroom accessories makes things difficult when it comes to selecting the best dual flush toilets for the whole family. In this article, we tackle everything you need to know about the best dual flush toilets available on the market. 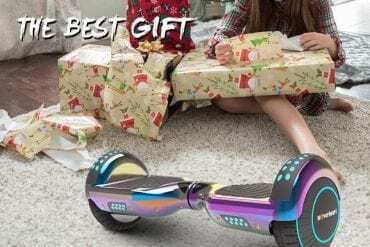 We have also reviewed the best selling models to help you narrow down your choice. 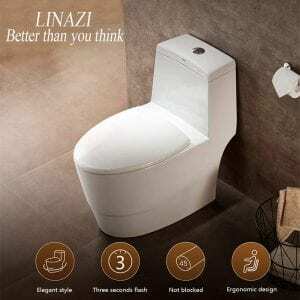 The LINAZI Is a one-piece elongated toilet that brings you simplicity, functionality, and luxury to your home. Featuring a clean and sleek finish, this toilet offers you with a powerful flushing system that flushes the waste easily. This toilet also comes with an innovative siphon flushing system plus a glazed blow to prevent sticking. 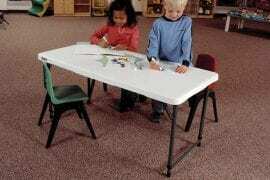 It also comes in a comfortable height making it ideal for both children and adults. We also love the soft closing lids that add to its safety making it ideal for young kids. 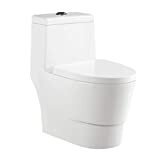 Moreover, this dual flush toilet allows you to save water, reducing your monthly water bill. 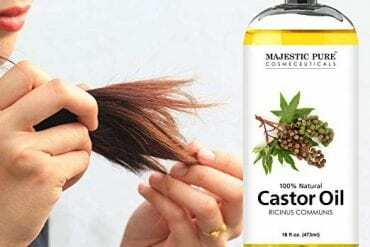 Besides, this feature makes it a great choice for individuals looking for environmentally friendly products. 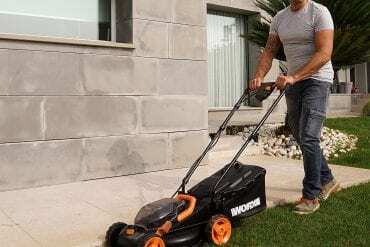 Some of the other features that you will love about this model include the high-end appeal, durable construction, and simple to clean design. Everyone is going green and so should you. Start doing so by using a water saving toilet. The HOROW HWMT-8733 toilet is a high-end model that helps you lower water consumption with each flush. Besides being environmentally friendly, this high profile dual flush toilet also offers you with the flexibility of choosing between a low and a high flush. The toilet also comes in a compact design that fits small spaces at the same time looking gorgeous in a modern bathroom. The seat lid also comes with an innovative design that allows it to close quietly. The toilet also comes with all the features included including the seat and the wax ring. Another reason why this model stands out is the fact that it is incredibly easy to install. You will also lobe the concealed trapway design paired with the glaze surface that makes cleaning easier. Consecutively this toilet also comes with super quiet and powerful flushing that offer silent and powerful flushing that ensures no clogs or leaks. What’s more, the toilet meets the ASME specification making it an ideal choice for all homes. If you think of it, the bathroom is one of the most significant places in our house. During mornings, you use it to center and ready ourselves to face the challenges that the day brings. After the end of the day, we use it to unwind before retiring to bed. 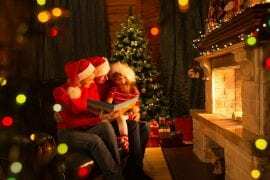 Since our day starts and end, here it is crucial to make it a private sanctuary. You can do so by adding the Fresca Bath FTL2351 dual flush toilet. This toilet boasts of an elongated design that boasts of a graceful and sophisticated look that is not only comfortable to sit on but also practical to use. The toilet features an innovative dual flushing system with two options 1.6GPF or 0.8GPF. This excellent feature helps in conserving water. More to this, it comes with a completely glazed inner trapway plus a nice polish that is stain resistant. This makes it not only attractive but also simple to clean. Thanks to the stylish design, this toilet will complement the look of any modern bathroom. The Swiss Madison Concorde square toilet comes in a unique design that offers the best combination of performance and luxury. This model features a concealed trapway thanks to the sleek skirted design. This design is not only visually appealing but also revamps the look of your toilet. It also boasts of a strong dual flush function that delivers dependable performance. Another nice addition is the soft closing lid that makes it safe for older adults and children. 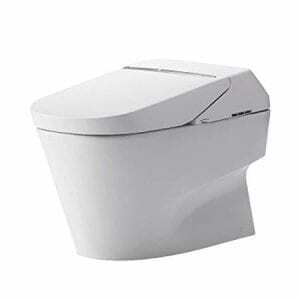 The toilet is made of high-quality porcelain materials ensuring durability. Its elongated seat design also makes it a perfect choice for the elderly as it offers a more comfortable place to sit. Additionally, the unique square design that is narrower will add a modern touch enhancing your bathroom space. 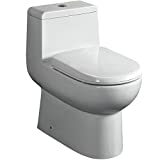 With the American Standard 2889518.020 H2Option Toilet, you are in control of your toilets flush. 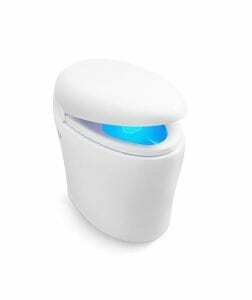 If you are looking for water-efficient gravity flush toilet that helps you saves thousands of gallons annually, this is a nice pick. This dial flush toilet comes with a low flush rate enabling for both great performance and water conversion. The toilet also comes in a two-piece design, which makes installation easy. While the white color is not particularly unique, it is versatile at matching various home themes. Additionally, the H2Optics toilet also boasts of two power levels that are easily operated by buttons actuators placed conveniently on the tank lid. The lower flush produces about 0.92 gallons of water while the stronger one sends 1.28 gallons. This means that it is efficient than the federal standard of 1.6 gallons. Above all this toilet also comes with an Everclean antimicrobial surface that resists odor-causing bacteria, mold, and stain. Featuring a skirted trapway the SM-1T254 St. Tropez toilet offers a stylish and eye-catching design makes it a perfect choice for people thinking or remodeling their bathrooms. 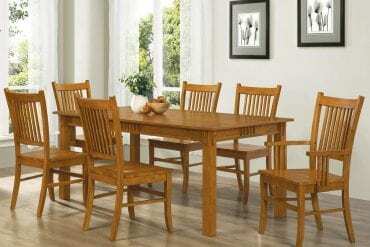 It comes with an elongated design and comfort height bowl that adding more comfort. Thanks to the dual flush technology, you can either choose the full or partial flush, saving water. The toilet also comes with a seamless porcelain one piece that makes it easy to clean. The seat has a quick release feature that allows for easy detaching for convenient cleaning. Unlike other models, installing this toilet is rather easy. Besides coming with all required tools and detailed instruction, this unit also comes with side holes that offer simple access to the floor bolts for effortless installation. 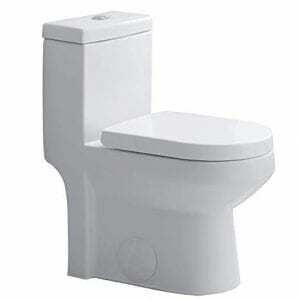 Subsequently, this unit also comes with a soft closing seat and silent flush. This means that you don’t have to wake up your partner when using the toilet at night. Combining powerful performance and Bidet functionality, the KOHLER K-4026-0 Elongated toilet is Also model designed to deliver complete and comfortable clean. Featuring a heated seat with customizable settings, personalizing the seat to suit your needs have never been easy. You can also customize the water temperature and dryer with the touch screen remote. The toilet also comes with a motion-activated lid and seat allowing for hands-free operation. Boasting of an innovative tankless design that is comprised of smooth sloping curves; this toilet is also incredibly easy to clean. In addition, it comes with a self-rinsing bidet wand that offers you with a more hygienic experience. Some of the other features that you will love about this unit include the WaterSense label that shows that it meets strict EPA performance guidelines. 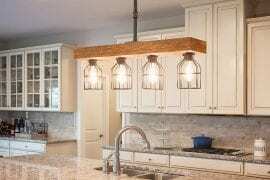 In addition, it is energy efficient as it consumes about 20 less water helping you save up to 16,500 gallons of water annually. Boasting of flowing and immaculately balanced curves the KOHLER K-5401 toilet is one high functional dual flushing toilet that will never disappoint. 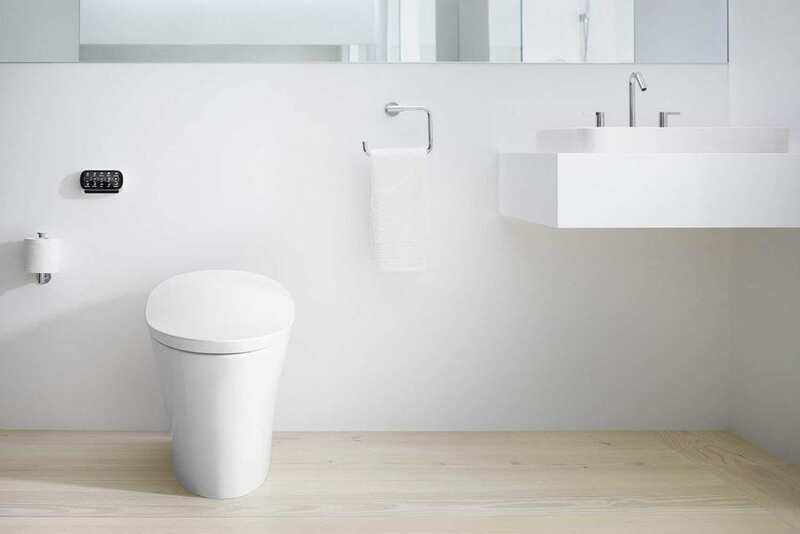 The toilet comes with an innovative design that integrates a cleansing functionality and a minimalist but ergonomic design. 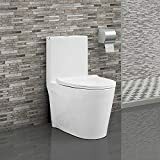 This toilet comes with a sculpted core that offers precision features that work together to offer ultimate individual comfort and optimum hygiene. What sets this model from the competition is the LED nightlight that turns on automatically. This means you don’t need to turn your bathroom lights. 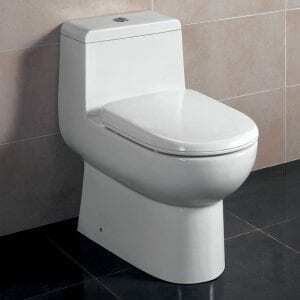 Moreover, this toilet also pairs its powerful flush performance with water saving. 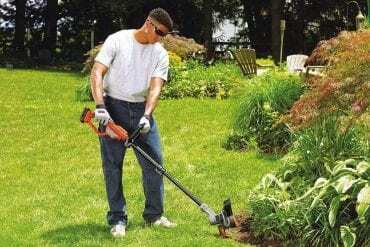 This is facilitated by the two-tone flush lever that offers a 1.6 or 1.1-gallon flush. The 1.1 high efficient flush saves about 30 percent of water, saving up to 4000 gallons annually. 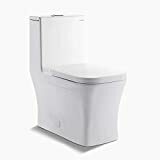 Toto MS992CUMFG Neorest Toilet is designed to transform your tired looking bathroom into a relaxing oasis that is convenient for all family members. This toilet is integrated with superior Washlet bringing you a nice mix of ecology and luxury. Apart from the premium features, this unit still meets both the Universal Designs and ADA specification making it a great addition for home as well as institutions. 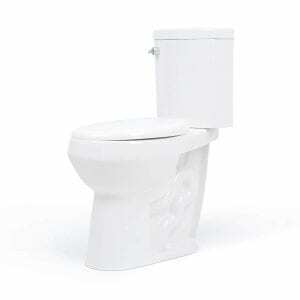 With this toilet, you will get to enjoy premium features including eWater+, Technology Cyclone flushing system, automatic flushing Plus remote control convenience. Equipped with the latest technology, Toto MS992CUMFG Neorest is a perfect blend of water saving and luxury. Note, despite the fact that the toilet has a lower water usage when compared to other models; this toilet flushes liquid and solid waste consistently. With this toilet, you also get to enjoy the superior ewater+ technology that transforms ordinary tap water into a powerful cleaning agent. The Convenient Height Toilet is quite different from the standard toilet as it comes at the height of 20 inches. This is about three inches tall than the standard seats. This adds to the bathroom safety eliminating the inconvenience of low toilets as well as elevated riser seats. Therefore, it is a decent choice for the seniors as well as individuals with mobility issues as it enables them to stand and sit unsupported. Despite the small disparity in height, this dual flush toilet allows you to choose from a 1.28 or 1.0GPF depending on whether you are depositing liquid or waste. 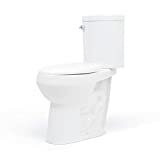 Comparing this model to a standard toilet, this model will save you more than 15,000 gallons annually. Another notable feature that comes with this unit is the narrower width that saves you some space in your bathroom. Moreover, it is made of high quality and non-toxic materials to enhance its durability and safety. Dual flush toilets popularity is increasing exponentially as they help you save water. This will not only reduce your water bills but also save the environment. Similar to any other products, these toilets do not have the same level of performance. 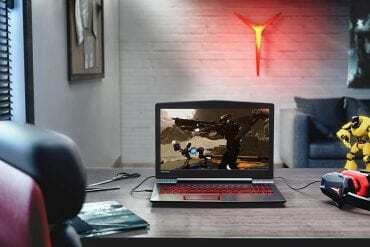 In this guide, we are going to look at some of the factors that should help you in selecting the best model. Design: Before selecting the best dual flush toilet, you should start by ensuring that it matches tour bathroom décor and personal style. When doing this, you should consider several things such as the shape, finish, and general appeal. Remember these toilets are available in both elongated and rounded bowl shape. For a reason, you should ensure that you pick a model that suits your needs. Dimension: It is crucial to ensure that your new thrown is conveniently sized to boost your comfort. In our guide, we have only included the ADA compliant toilets so that you only pick the right model for the whole family. Water efficiency: This is probably the most crucial feature to consider. Start by checking the actual flow rate and see how much water the toilet can help you save. The standard toilets have a 1.6GPM flushing rate for both solid and liquid waste. However, going for models with a solid waste flush rate of 1.28 and 1.0GPM for liquid waste will help you save many gallons annually. Flushing mechanism: Dual flushing toilets come with either modern or traditional flushing mechanism. Actually, there is a wide option from buttons, knobs to levers. One way that will help you in narrowing down what you want is how you are attached to storing bathroom stuff on the tank of the toilet. If you do this, going for models with levers or knobs is an added advantage. Unlike the standard toilets, the Dual flush toilet will not only help you in saving you money, water but will also satisfy your needs. 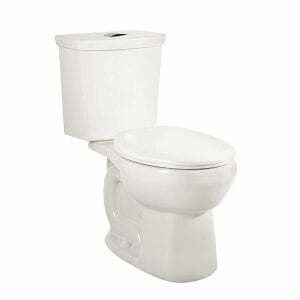 The above list consists of the best dual toilet that every household will find useful. We understand that it is not easy for you to pick the right thrown when considering the styles, sizes, and features available. However, by going through our guide carefully, the process of picking the ideal choice is easier.